Vivienne, Vivienne, what are you looking for? Energy and ecstasy collide in Vivienne Chi’s intense, self-titled debut single. As we all know only too well, the worst part of any personal low point is not hitting rock bottom itself, but rather, the moment you acknowledge where you are, and what you’ve done. “Vivienne” introduces us to Vivienne Chi as the artist stares herself down, embroiled in emotional turmoil and batting herself, with herself. That all starts today, with Chi’s debut single release. Impassioned drums pulse a dark beat as Chi confronts herself, reeling from a breakup that has sent her into spiritual limbo. “Sure as the sun sets, I’ll fly up and fade when I reach your step,” she sings ominously to her ex in the opening verse. We feel her pain vividly; loving relationships can shape us in magical ways. When a relationship ends, that part of you dies with it, and Chi is entrenched in that loss. She knows that only she alone can pull herself up again, but that’s far easier said than done. something that you lost before? Chi builds tension in the pre-chorus; her voice feels like a whisper that could burst at any second. 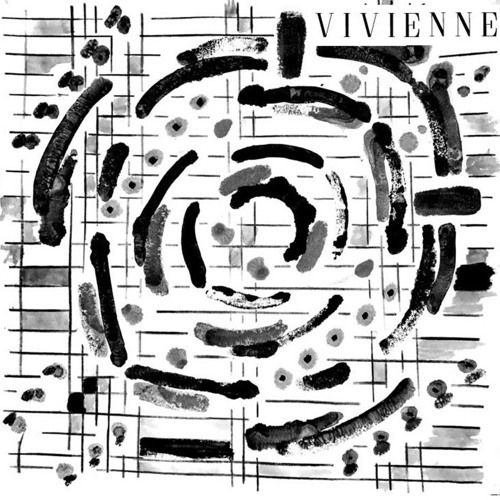 “And I hear, ‘Vivienne, Vivienne, what are you looking for? Vivienne, Vivienne, something that you lost before? Are you nervous? '” Is it an out-of-body experience, or is she talking to herself? A deep exhale after the word “nervous” puts the hair on edge, setting up for the spiral to come. This is the moment of truth: Chi’s wail sends shivers down the spine as she succumbs to the pain of heartbreak, opening herself up so that she might once again be whole. We feel her anger, her love, her fear, but most of all, her bloodlust: There’s a sense that this is not the end – that she will have what is hers. She sent a powerful message in the verse, committed to bringing what she once had back again, even if it meant a face-to-face confrontation. This chorus is a reaffirmation of her commitment, a declaration of uncompromising feelings that drive her forward. For a second, Chi pulls herself out, but the temptation is too hard to resist. “I wrote ‘Vivienne’ about getting through the aftermath of a break-up and that little voice in your head that tells you to do something stupid,” remarks Chi of her debut single. “It’s about losing control and letting your other, less dignified Self take over for a moment.” Not only can we feel that high-strung push and pull between the head and the heart, but also we can all relate to this struggle: Such torment can tear a person apart. Few artists come out of the gate in such a fiery display, but in letting loose with that intense passion, Vivienne Chi leaves an instantly memorable mark: Her haunting voice echoes long after the moment has passed, calling us back to “Vivienne” time and again. She’s managed to turn her lowest point into a high through her music, and she’s absolutely right in saying she’ll “be the one you won’t forget” – Atwood Magazine will be keeping close tabs on this 2017 Artist to Watch in the months to come. Carrying a formidable hard rock energy, “Vivienne” catapults Vivienne Chi into the spotlight, and we cannot wait to see what happens next. Connect with the artist via her socials below, and be sure to share her debut single with friends and family. In the meantime, we’ll be shouting this song on repeat: Vivienne, Vivienne, what are you looking for?